with a dog or cat? I'd love to hear about them in my comments. Those are some great memes. The dogs are so cute. I love the fonts you used. These are all great memes! Smiles are the bestest! That second one sure applies to my sisters! Those memes are a surefire way to smile and your boys just automatically make me smile. Happy mid-week! Those are all great, and so true. 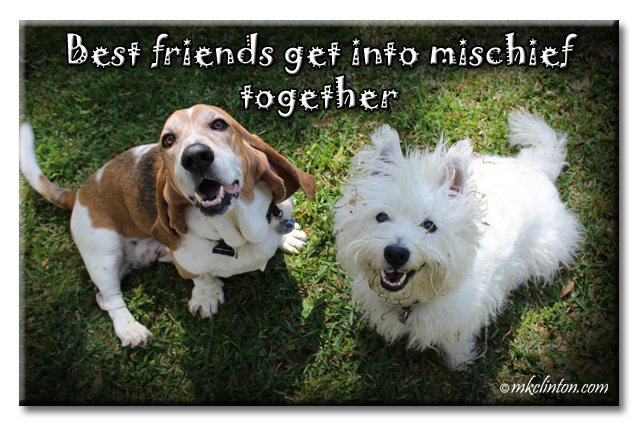 Pierre and Bentley are both sharing a very contagious smile today!! Duke. What a dog and so protective of his little miss. He would not let anyone in our yard unless he was properly introduced to them. He'd give you a smell send it to his memory bank and you were then in his pack!! Aww, we love you memems! If only we all could be as happy as Pierre! These are great! That last one really hits home. Icy changed our lives in so many ways,especially by motivating us to go on more travel adventures and of course through our therapy dog work. Pierre is a cutie and clearly very happy. We always make people smile. Great memes! We should all strive to be as happy as Pierre! 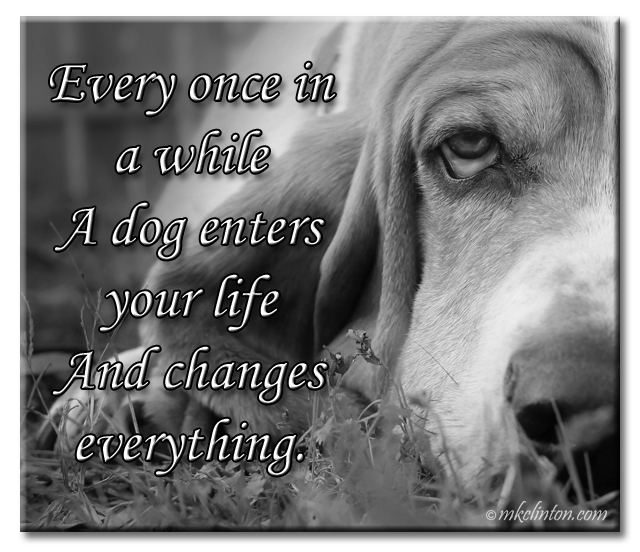 I think each dog that has come into our lives has changed at least one little thing, and taught us so much! Super cute memes. Mom and I are a match made in heaven. Our magical bond was forged by her old dog, Smoki. She picked me out for Mom. Plus she lives in my belly and helps me be a good girl. Those are great! The last one I'd substitute with cat, because each and every cat I've shared my life with has changed everything. The list of animals I haven't had a special bond with is shorter than the ones I have bonded with. Even as a kid I would bond with various animals within minutes. :) I even felt a bond with my goldfish Jaws. I was crushed when his life ended. Is that weird? I think I've had that bond with all my pets! I fall pretty hard! Great memes. Our last dog definitely changed my life. She was only with us a short while, but she had a huge impact. 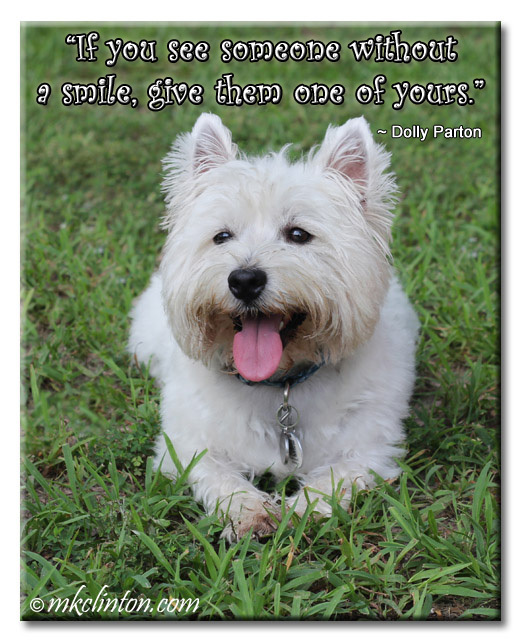 Love that Dolly Parton quote. It's the perfect match for the photo you chose!